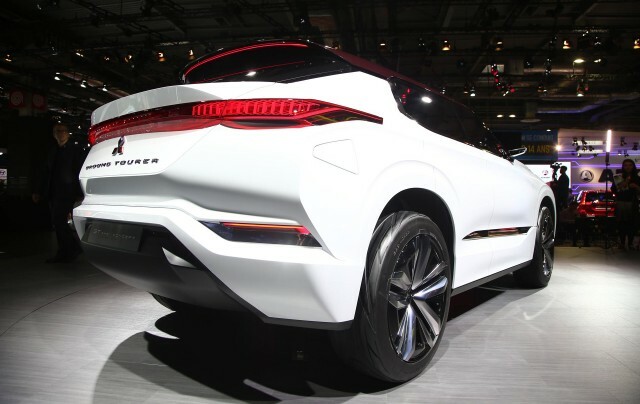 Mitsubishi unveiled the latest in a series of plug-in electric SUV concepts at the 2016 Paris Motor Show. As with other recent concept from the Japanese automaker, though, it is unclear whether this one will translate into a future production model. The Mitsubishi GT-PHEV concept is a large and fairly luxurious plug-in hybrid utility vehicle. Mitsubishi calls it a "ground tourer," seemingly a play on the "grand tourer" name traditionally applied to a class of more comfortable sports cars. The styling is a new interpretation of Mitsubishi's current design language, with a reworked version of the "Dynamic Shield" grille from the current Outlander and Outlander Sport up front. Large vertical driving lights almost overshadow the thin headlights at the top of the imposing front fascia. As is fashionable these days, the GT-PHEV has a low roofline with a steeply-raked windshield, to give it a coupe-like appearance. The powertrain consists of a 2.5-liter gasoline engine and three electric motors. 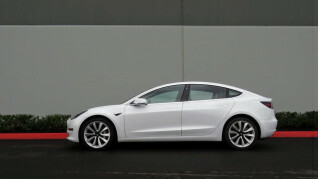 One motor assists the gasoline engine in driving the front wheels, while the other two are used to drive the rear wheels exclusively, giving the GT-PHEV a "through the road" all-wheel drive system. A 25-kilowatt-hour lithium-ion battery pack provides enough capacity for an electric-only range of 75 miles, according to Mitsubishi. That figure might well be lowered if performance was measured using the U.S. EPA testing cycle, though. 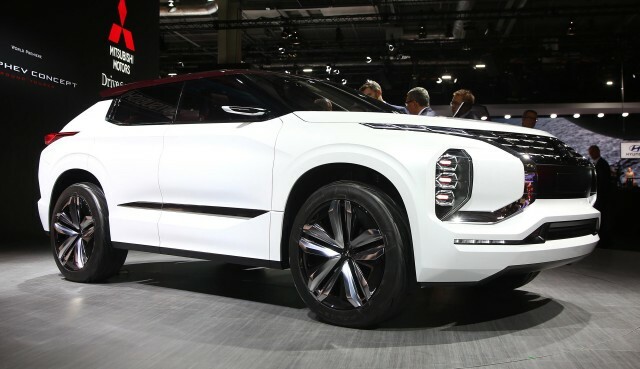 Given its large size and billing as a somewhat luxurious vehicle, the GT-PHEV hints at a possible plug-in hybrid reincarnation of the Mitsubishi Montero, which left the U.S. market several years ago. But this isn't the first time Mitsubishi has teased such a vehicle. It showed another full-size plug-in hybrid SUV concept called the GC-PHEV at the 2013 Tokyo Motor Show and 2015 Chicago Auto Show. Mitsubishi currently has just one plug-in hybrid utility vehicle in production—the Outlander Plug-In Hybrid—and bringing that model to the U.S. has proven a struggle. The Outlander Plug-In Hybrid's U.S. launch has been delayed multiple times, to the point that the model will be three years late when it finally arrives here next year. For more 2016 Paris Motor Show coverage, head over to our show news page.